Rick Pitino’s been out of the coaching game not even a full year, but that itch is already starting to come back. Whether anybody’s willing to scratch it is another question entirely. According to a report Monday from GoLocalProv, Rhode Island athletic director Thorr Bjorn offered Pitino the men’s basketball head coaching position vacated after Dan Hurley left for UConn a couple of weeks ago. The outlet reported that the pair had “come to a rough agreement in principle”—so, nothing firm. 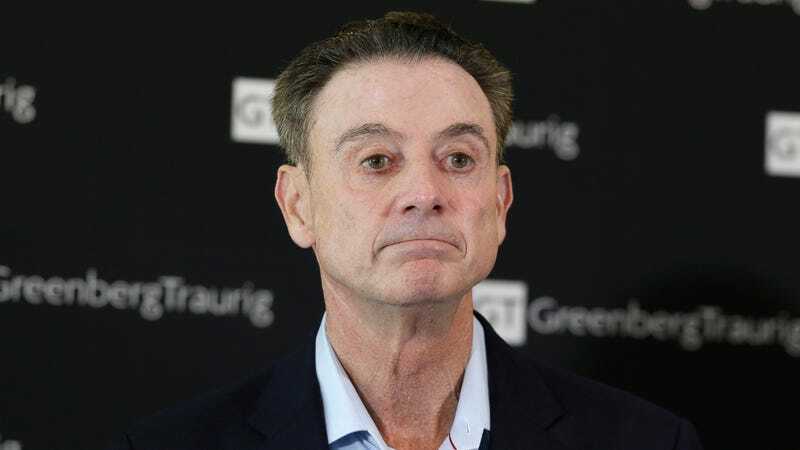 Louisville fired Pitino along with athletic director Tom Jurich last fall, as the two were connected to the FBI investigation into college basketball’s recruiting underbelly. GoLocalProv reports that when Bjorn approached school president David Dooley with his proposal—the site wrote that the deal was set to pay Pitino $2 million per season—but Dooley rejected Pitino’s candidacy, citing the former coach’s legal baggage. It would seem being publicly humiliated by Papa John leaves a stain.